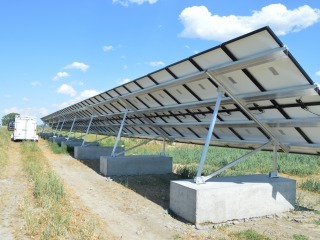 Pivot pumps are a major energy consumer throughout the west and a perfect fit for grid-tied solar electricity. Irrigation of the adjacent fields is needed most during the height of summer, which corresponds to the peak energy production of the solar array. The pivot pumps are turned off from October through April. 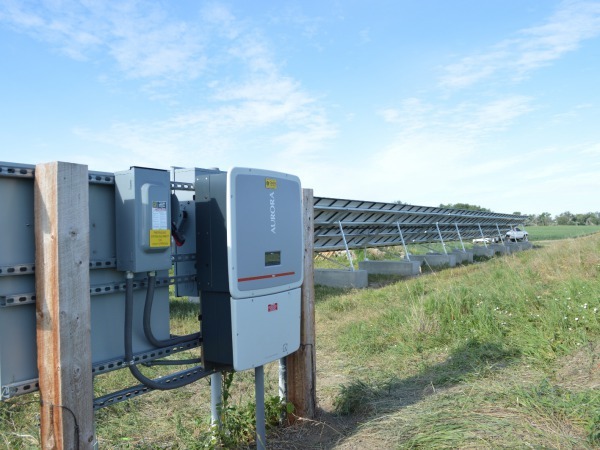 With a net metering agreement in place with Fergus Electric Coop, the production of the solar array during the winter months can be credited toward the energy consumption of the pumps during the summer. It is predicted that 80% of the annual energy usage of the pumps will be offset by the solar electric system. Helping to keep the fields green in more ways than one! 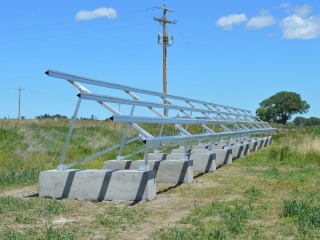 is estimated to offset 80% of the energy demand of two agricultural pivot pumps on this Roundup ranch. 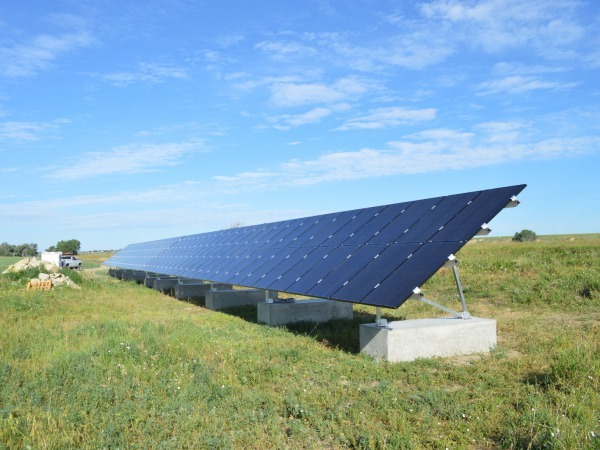 Many ground mounted solar arrays of this size require extensive excavation and overall disturbance of the soil. 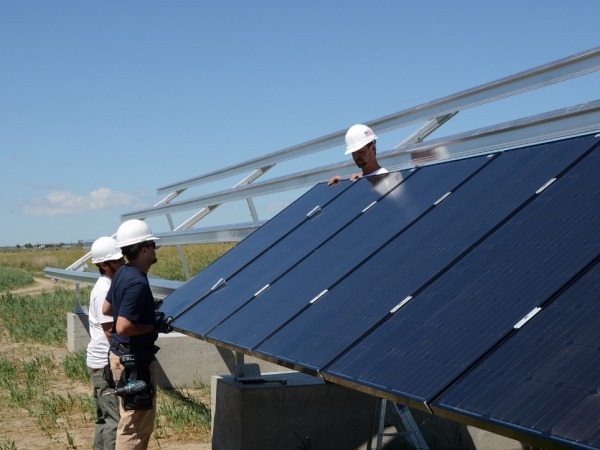 For this solar array a ballasted block racking system was chosen to minimize the overall impact on the property, while providing a cost effective racking solution that required virtually no heavy equipment at the site. "I can recommend OnSite Energy, for any solar projects for ranch or residence. OnSite Energy designed and installed a solar generation project for me last year (2013) for irrigation on my ranch in Musselshell County. The entire project progressed from design to installation essentially without any surprises and on budget. It was a truly rewarding experience!"